As Christians, and as United Methodists, why should each of us be in a gracious accountability discipleship group? What is so important about small groups of disciples seeking to follow Jesus, while supporting, encouraging, and holding each other accountable to “live out” His teachings in our everyday lives? What happens in this type of small group that makes it different from other study small groups? Jesus calls us first to serve God and others in love. Jesus’ Great Commandment (Matthew 22: 36-40) calls us to love God with all our heart, soul, and mind, plus to love our neighbor as ourselves. And yes, our neighbor includes our enemies. We can point to success, as well as some failure, in fulfilling the Great Commandment. It is both easy and hard to follow this commandment. It’s easy, because Jesus says His yoke is light and He is with us every step of the way. It’s hard because we have to maintain our focus on Him in the midst of all the distractions our culture throws at us every day. John and Charles Wesley preached and sang about love being the goal. Yes, faith is our foundation, but love is always the goal. Always. We are saved by God’s grace, and when reflecting on this grace, our response is love. “Love divine, all loves excelling”, Charles’ well-known hymn says it well. Secondly, Jesus calls us is to make disciples. 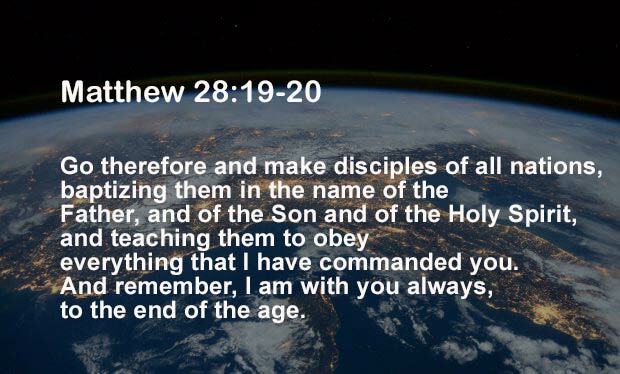 The Great Commission (Matthew 28:18-20) calls us to go and make disciples of all nations. Note that Jesus is not asking us to make believers, or church members, but disciples. So, we are called to love everyone and make disciples. What is a disciple of Jesus? What characteristics should one have to be a disciple? If we are following Jesus, we can expect to exhibit different behaviors over time. These behaviors will look a little like how Jesus acted. When thinking about these behaviors, we could think of the Golden Rule (Matthew 7:12), do unto others, as you would have them do unto you. Or, we could think of the Fruits of the Spirit (Galatians 5:22-23): love, joy, peace, patience, kindness, goodness, faithfulness, gentleness, and self-control. But how do we know if we are on the right path? How do I know if my behaviors and how I treat others are what God asks of me? As my friend and District Superintendent Beth Crissman likes to say, this question is similar to one we all asked our teachers and professors in school: “What will be on the final exam?” Jesus gives us the answer to what will be on the final exam in Matthew 25: 31-46. Wow! So, we are to love God and others, make disciples, and provide care for those who need food, drink, hospitality & shelter, clothing, and medical care plus visit those in prison. That seems like a very tall order. How can anyone manage to keep all of this in mind as we live our busy lives? Alone, I don’t think it’s possible to do this for a lifetime. But Jesus gave us a model (and John Wesley borrowed it) for doing it together: small groups that hold each other graciously accountable to a group covenant. Jesus had a small group that learned from Him the way of discipleship. Twelve men and probably several women learned from Jesus as they journeyed together for three years. Alone we will eventually be distracted by the competing demands of life. It will be difficult to maintain our focus over the long term. Together, we admittedly still have the distractions and demands of life. But, when we come together weekly, we remind each other of the covenant we have made together. We can each rejoin our journey with Jesus, and become the kind of disciple Jesus calls us to be. Those in Wesley’s Class Meetings did not study a book. They may have sung a song, read a Bible verse, and had prayer. But, their main purpose was not Bible study, but a review of the state of their souls. It resulted in a wildly successful movement to revitalize the Church of England, and start the Methodist movement in North America. So, if you want to start small gracious accountability groups in your church, what do they look like? How do we get them started? That will be the topic next time.